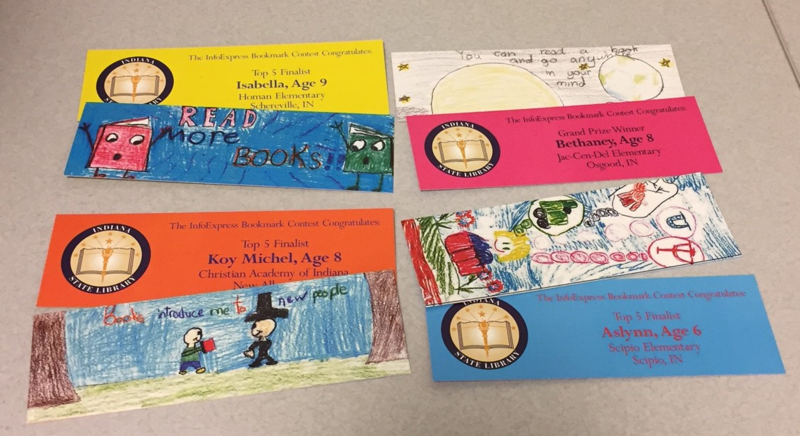 The Indiana State Library, in conjunction with the Indiana Center for the Book, is pleased to announce the return of its annual bookmark contest. 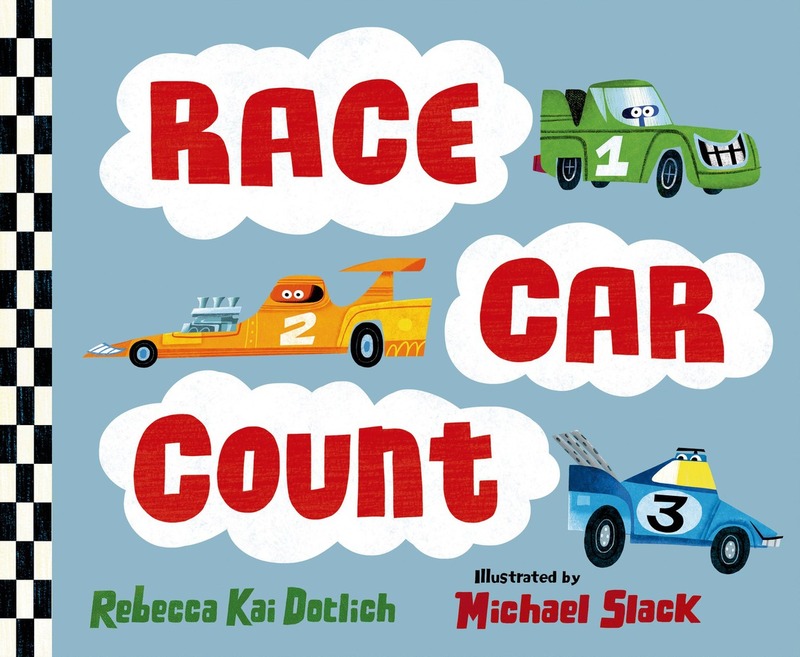 This year’s theme, Race into Reading, was chosen to coincide with Indiana’s book choice to represent the state at the Library of Congress’s National Book Festival’s Pavilion of the States in September, “Race Car Count” by Rebecca Kai Dotlich. Race into Reading is a fun theme that celebrates speed, acceleration, racing and Indiana. The state library’s suggested reading list can be found here and features a selection of Indiana-related titles focused on fast athletes, zippy race cars and speedy animals, including “Speed” by Nathan Clement and “Little Red Gliding Hood” by Tara Lazar. Children are encouraged to check out these books from their local libraries and use them as inspiration for their bookmark designs. Sampling of last year’s entries, including the grand prize winner and three additional top five finalists. The contest is open to all students in Indiana schools, from kindergarten to third grade. The first-place winner will have their bookmark printed in color and distributed to libraries throughout the state, their school will receive a supply of the winning bookmarks and, starting on July 1, 2017, their school or local library will receive one year of the InfoExpress library delivery service. Four honorable mentions will receive the same perks as the grand prize winner, except for the year of InfoExpress service. Bookmarks will be judged on artistic quality, use of color and use of theme. The contest entry form is available here and the form must be postmarked or emailed by March 18, 2017. Additionally, the winning designs will be featured at Indiana’s booth at the Pavilion of the States during the National Book Festival in Washington, DC. The Indiana Center for the Book gives away thousands of bookmarks to festival participants each year. The festival is free and celebrates the joy of books and reading and features authors, illustrators and poets of all ages. For more information, contact Michael Hicks, InfoExpress Coordinator, Indiana State Library.